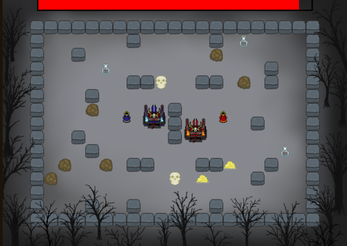 Competitive two-player game where two acolytes collect resources for their altar while disrupting the opponent. Afterwards, powerful demons are summoned. Their abilities depend on the gathered materials, and the players then fight to the death using the demons. Only the strongest survive.